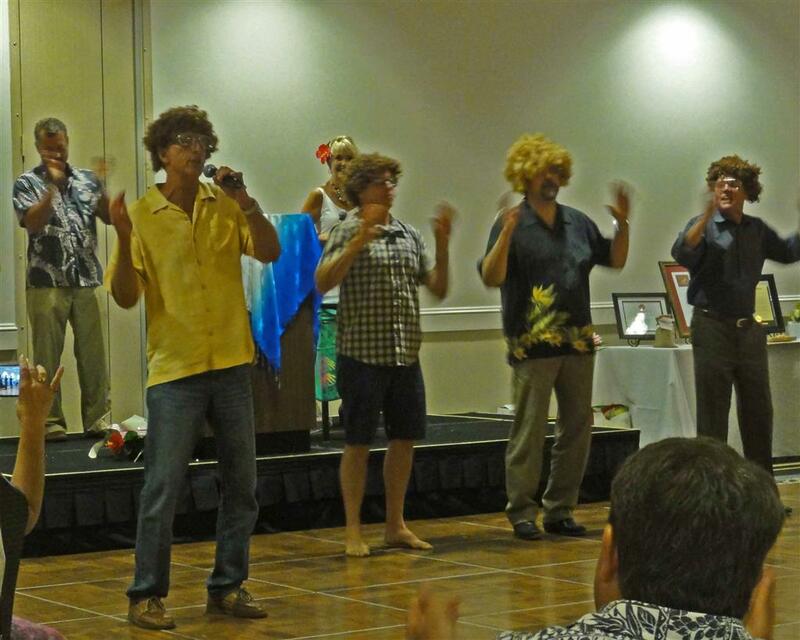 34th annual "Demotion" Ceremony was held at the Sheraton Resort in Carlsbad on Friday evening, June 20, 2014. This event was planned and directed by Past-President, Yvonne Finocchiaro. 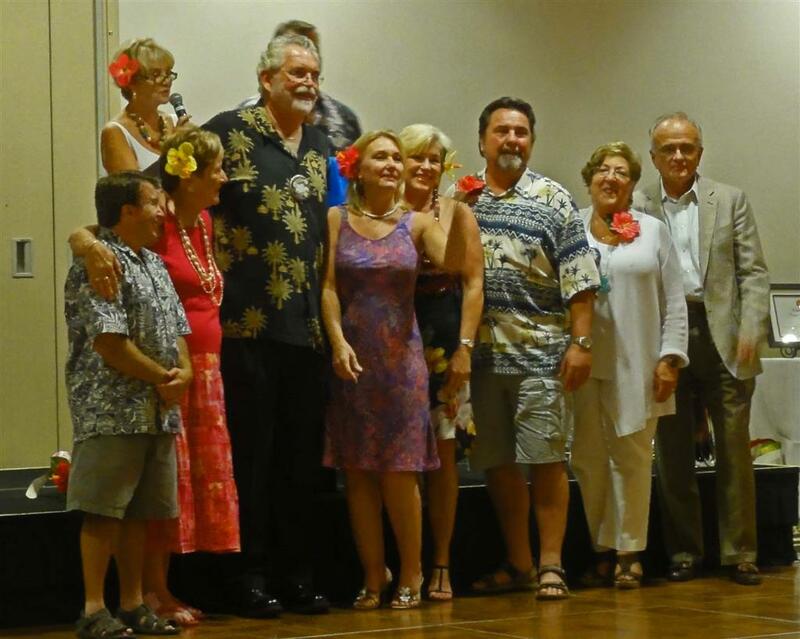 President Lisa Rodman was presented with proclamations from officials and Lisa presented each of her Board Members and Directors with special gifts commemorating their year of service to the Carlsbad Hi-Noon Rotary Club. 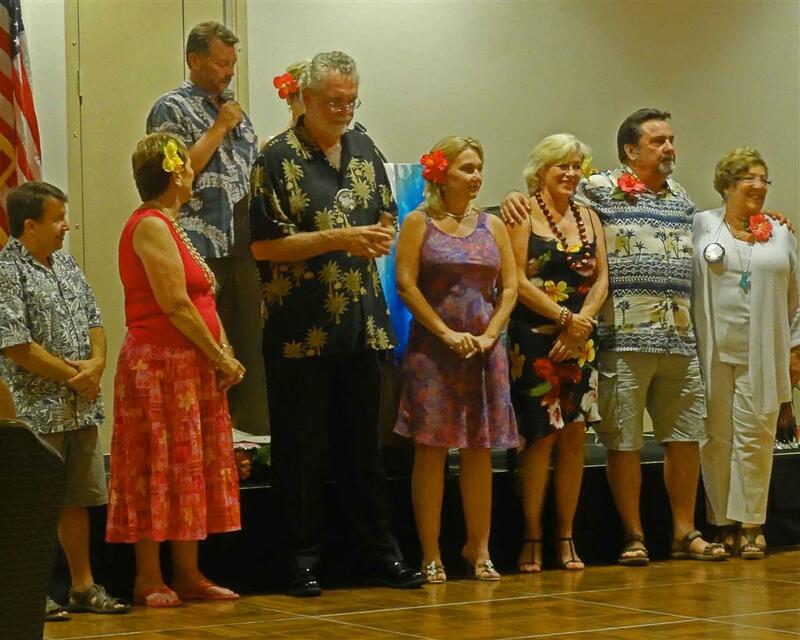 Gloria Foote then proceeded to induct Mark Ealy as club President for 2014-2015, and then officially inducted Mark's Board of Directors and Officers. Proceedings were interrupted by several rowdy club members. 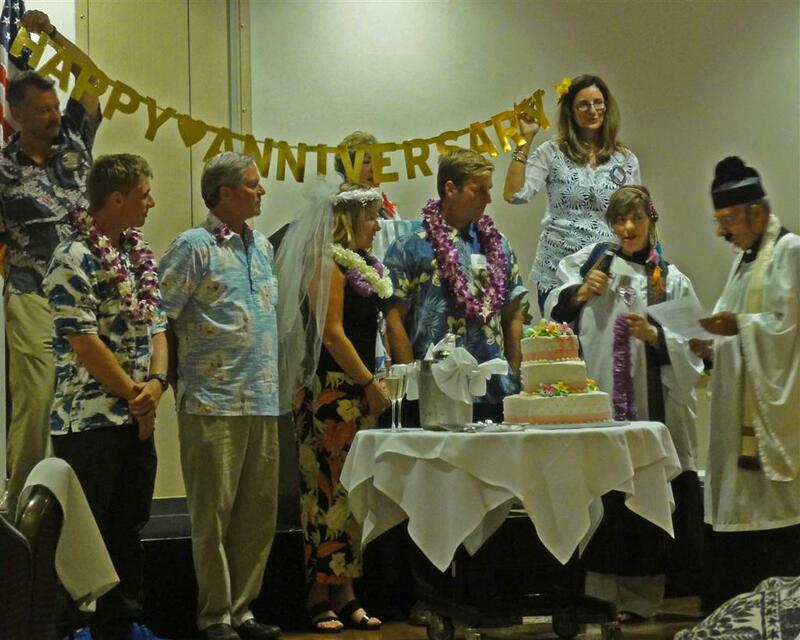 The Pope or some relation presented a cake and a blessing for Lisa and her husband who celebrate their 33rd wedding anniversary on June 20. And a curly-haired foursome performed a specially choreographed song and dance routine with lyrics fitted to the President's year in office. The Sgt-at-Arms and Presidential Mentor are at right. Robin Hill is not shown in this photo.